Addiction is a chronic disease that the American Society of Addiction Medicine (ASAM) warns can also be progressive without proper treatment and the use of recovery services. Recovery is a state of being that is maintained with perseverance and dedication. Many of these outpatient services can be helpful during recovery to solidify healthy habits and prevent a return to drug or alcohol use, or relapse. It is important to avoid complacency during recovery and to stay focused on sobriety. After leaving a treatment program, whether inpatient or outpatient, individuals should have a recovery plan in place for aftercare. Outpatient services can be very useful as part of an aftercare plan upon completion of a residential addiction treatment program. Outpatient services are generally very flexible. People are able to schedule meetings, sessions, and services around existing obligations, such as school, work, or family needs. 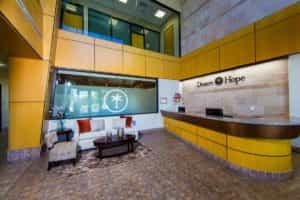 These services are often hosted by addiction treatment facilities and community-based organizations, and they can serve as a way to keep individuals connected to a recovery community. Counseling and therapy sessions can be effective in helping individuals to stay focused on recovery and can also provide a kind of “tune-up” when needed. When someone is facing a particularly difficult challenge in their daily life, a therapy session may be a good way to check in with a trained professional and practice coping and problem-solving skills in a safe environment. Group sessions and life skills trainings provide individuals with tools and a forum to learn how to keep a healthy emotional balance, manage stress, and control anger. Family sessions can improve communication skills and enhance the workings of the entire family unit, which can be vital during recovery. Crisis services are also usually available, generally around the clock by phone, so individuals can talk to a trained professional on the spot as needed. While outpatient services can be used when needed, many of these services are also utilized as continuously scheduled events during aftercare. Individuals may attend group, family, and individual sessions on a weekly (or more frequent) basis, for example. These sessions help to build on things learned in a treatment program and are also able to address any new concerns that may come up. The Substance Abuse and Mental Health Services Administration (SAMHSA) publishes that nearly 8 million people in the United States suffer from co-occurring disorders – that is they battle both addiction and a mental health disorder at the same time. Co-occurring disorders are optimally treated in an integrated fashion, and behavioral therapies, counseling, and medications may be useful. These services may continue into recovery, and individuals may continue to meet with trained professionals to manage both disorders. Drug screenings and testing may be part of an outpatient program, ensuring compliance along the way. Outpatient programs can serve as a less intensive, more flexible form of treatment as individuals move on from residential or intensive outpatient treatment programs into less structured programs. As a persistent disease, relapse rates for addiction are similar to relapse rates for other chronic illnesses like hypertension, asthma, and diabetes, the National Institute on Drug Abuse (NIDA) reports. Relapse can be minimized and even potentially prevented with help. Relapse prevention services are an integral part of an aftercare program. Individuals may attend educational programs and workshops focused on helping to control cravings and prevent relapse. Addiction is a disease that disrupts the chemistry and circuitry in the brain, impacting willpower, memory functions, and what it takes for a person to feel happy. Relapse prevention programs help individuals to recognize potential triggers and teaches them how to manage those triggers as they arise while providing insight into difficult emotions and how to control them. Educational programs can highlight the recovery process and teach individuals and their loved ones what to expect, which also helps to keep things in check. It is typically easier to manage known entities than unknown ones. Nutrition planning, fitness plans, art therapy, acupuncture, chiropractic care, massage therapy, yoga, and mindfulness meditation may all be part of an aftercare treatment plan. These services can be beneficial in complementing traditional addiction treatment services. While they don’t replace traditional treatment, they can be supportive of it. Occupying the mind and staying busy during recovery are great ways to control cravings and prevent relapse. Creative outlets, hobbies, and exercise can help to provide positive rewards, manage stress, and improve self-esteem levels. Physical health is important during addiction treatment and recovery, as the better someone feels physically, the more likely they are to be able to stay emotionally balanced. Getting enough sleep, eating healthy, and engaging in regular exercise, as well as incorporating other holistic methods, are important parts of an aftercare plan. Peer support, family programs, 12-Step programs, and alumni services can be vital to recovery and long-term sobriety as well. There are a wide range of support services available, and people can choose a group or program that best fits their individual needs. Some are gender-specific while others are faith-based, and still others may focus on specialty population groups. The key is that all of these programs work to provide fellowship with peers who can empathize and who have similar goals in recovery. Meetings are generally free and offered at various times and locations, and they are open to anyone who battles addiction and wishes to sustain abstinence.Members of these support groups are in different stages of recovery and can provide encouragement and hope to each other. Someone who has been in recovery for a long time, for example, may be able to provide insight, methods, and suggestions for controlling cravings and minimizing relapse to someone more recently out of treatment. These meetings also provide an open forum for individuals to be heard in a nonjudgmental and supportive environment. Support groups and alumni programs may host regular sober events and activities, which can offer healthy and positive social interactions for individuals who have likely been isolated by the disease of addiction. Interpersonal relationships, positive social networks, and family support can enhance recovery, SAMHSApublishes.Aftercare services often depend heavily on support groups, which can be an emotional boon for individuals in recovery. People who attend support group meetings regularly are more likely to remain abstinent than those who don’t participate in them, studies published in the Journal of Addictive Disorders indicate. Addiction can be an isolating disease and these groups help people to realize that they are not alone and that recovery is not only possible but probable. Staying connected to a recovery community by using outpatient services as a component of addiction treatment aftercare can help individuals to maintain sobriety on a long-term basis. Over time, participants will generally lessen their involvement in outpatient programs as they become more stable in their recovery.